Heat pumps and heat networks could play a major role in slashing heating emissions from our buildings and factories between now and 2050, according to a new UK Government heat strategy. The Government set out its vision on how to cut emissions from heating homes, businesses and industry over the coming decades. As well as options for making our buildings and factories more energy efficient, the heat strategy examines different ways low carbon heat could be supplied in the future. It suggests that heat pumps could play a major role in providing low carbon heat for individual buildings, while in some areas, heat networks could be the least costly and most efficient way to connect buildings, communities or industrial sites to greener sources of energy. The UK Government says it is already starting to make the change to low carbon heat through schemes such as the non-domestic Renewable Heat Incentive (RHI) and the Renewable Heat Premium Payment, which offers money off renewable kit for householders. However the heat strategy, sets out the scale of the challenge and a framework for addressing it. It also poses questions on how best to move forward. Sydney is set to get Australia’s first citywide low-carbon energy network after it signed a deal with Cogent for a trigeneration network supplying electricity, heating and air conditioning. Under the agreement Cogent, a subsidiary of Australia’s largest energy company Origin, will install the network to supply low-carbon electricity to both public and private buildings in four low carbon zones across central Sydney. Last year Origin worked with Investa Property Group to develop Australia’s first open commercial trigeneration precinct in Sydney. It is also building a trigeneration precinct in Melbourne. Cogent will begin installing Sydney’s low-carbon energy network next year. Waitrose in partnership with energy services company, MITIE, has launched a new energy centre on the Isle of Wight. The supermarket in East Cowes is the first in the UK to obtain the vast majority of its heating, cooling and power from an independent energy source (sustainably sourced local woodchip). Renewable and low carbon technologies installed in the store will reduce its carbon footprint by over 750 tonnes each year – equivalent to 1500 transatlantic flights. It will also generate £150,000 per annum for the local economy in the form of new jobs and through the purchase of the wood chip; around 175 tonnes will be delivered to the energy centre every month, sourced from Firestone Copse on the island. There will even be capacity in the future for the energy centre to heat local homes and community facilities. The National Heat Map was commissioned by the Department of Energy and Climate Change and created by The Centre for Sustainable Energy. 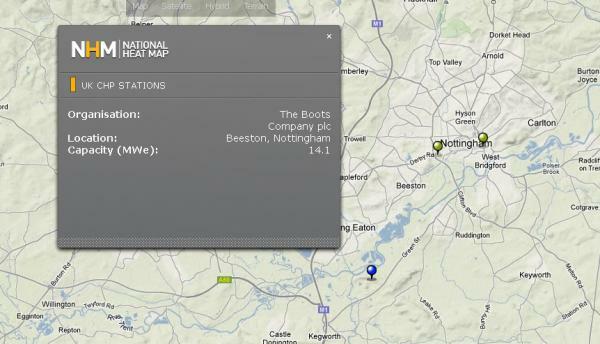 The purpose of the Map is to support planning and deployment of local low-carbon energy projects in England. 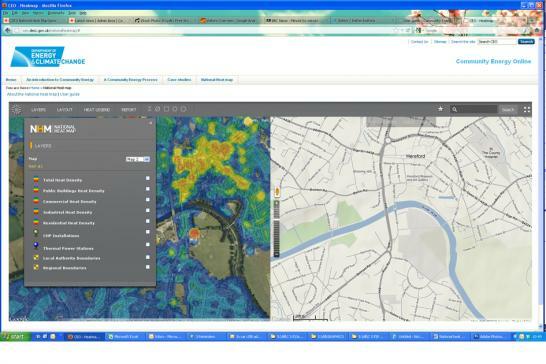 It aims to achieve this by providing publicly accessible high-resolution web-based maps of heat demand by area. The heat map is primarily intended to help identify locations where heat distribution is most likely to be beneficial and economic. It is important to note that it should be used as a tool for prioritising locations for more detailed investigation – and not as a tool for designing heat networks directly or for querying energy bills. 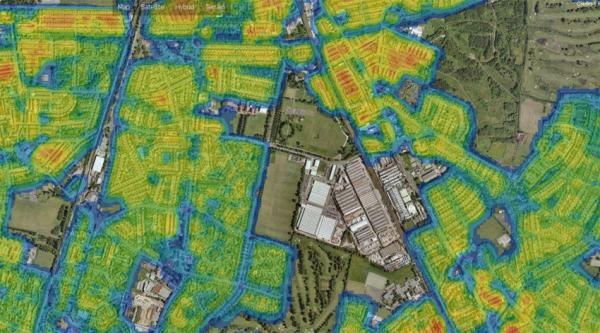 With the exception of public buildings, the heat map was produced entirely without access to the meter readings or energy bills of individual premises. As a result it contains no personal information whatsoever. This means that once a location has been established as having potential, it will always be necessary to obtain directly metered data on the relevant sites. With the exception of public buildings, the maps are based on data that has been modelled down to an individual address level, but none of the information used in any way constitutes personal data. This approach to modelling allows aggregation of results upwards without losing accuracy, whilst preserving the ability to drill down to finer scales at chosen locations. At high map zoom levels the outputs are at sufficiently fine scales to allow users to identify individual buildings and groups of buildings which could benefit from heat distribution installations, taking account of the relative accuracy of modelled data. The National Heat Map is a free and publicly accessible resource providing high-resolution maps of heat demand across England. It aims to help local authorities, community groups and other users identify locations where heat distribution projects are most likely to make a difference – by cutting carbon emissions and reducing heating costs. The heat map is based on modelled estimates of annual heat demand at every address in England, and is extremely detailed as a result. This detail allows users to investigate energy use patterns at the level of individual buildings and streets: exactly what’s needed to support the development of local, low-carbon decentralised energy projects across the country. 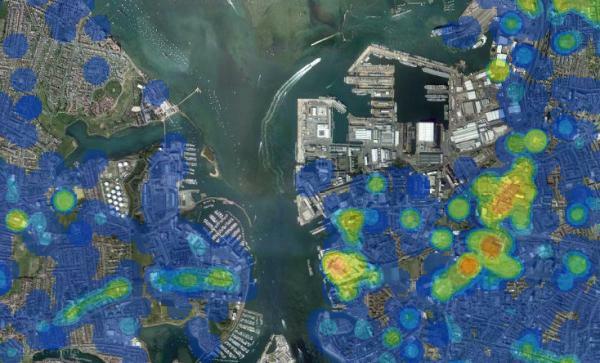 Once a potential opportunity has been identified using the heat map, the next step is to approach local stakeholders to develop interest in the project, and to obtain directly metered heat demand data for use in a feasibility study.